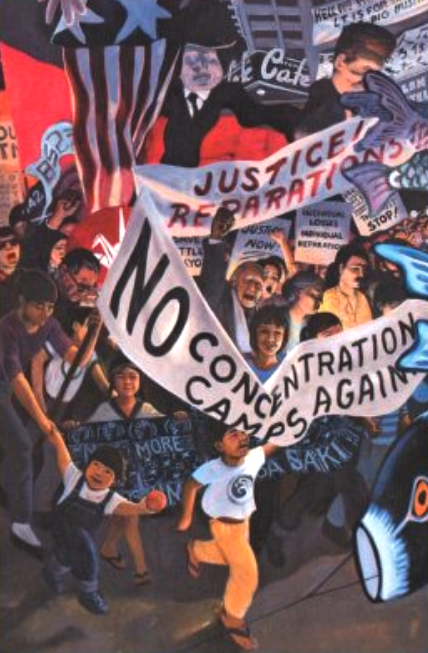 SAN FRANCISCO — “Acknowledging Fundamental Injustice: 30th Anniversary of the Civil Liberties Act of 1988” is the theme of the National Japanese American Historical Society’s annual awards tribute, to be held Saturday, May 5, from 5 to 7 p.m. at the Presidio Officers Club, Ortega Ballroom, 50 Moraga Ave., Main Post, Presidio of San Francisco. On Aug. 10, 1988, President Ronald Reagan signed into law the Civil Liberties Act of 1988. It was the legislative remedy to President Franklin D. Roosevelt’s Executive Order 9066 in 1942, which led to the mass incarceration of 120,000 people of Japanese descent during World War II. The redress bill acknowledged the government’s grave injustice and issued a formal apology to Japanese American survivors incarcerated in the camps during the war. The honorees will be the Japanese American Citizens League, National Coalition for Redress/Reparations, National Council for Japanese American Redress, and coram nobis legal team, all of which contributed to the redress efforts in Congress and the courts. The event will include previews of two documentaries: “Our Lost Years,” produced and directed by Lane Nishikawa, and “An American Story: Norman Mineta and His Legacy,” produced and directed by Dianne Fukami and Debra Nakatomi. Free public workshops will be held from 12 to 4 p.m. at the MIS Historic Learning Center, Bldg. 640, 640 Old Mason St., Presidio of San Francisco. View the special exhibits “Artists’ Eyes: Art of Incarceration” at the MIS Historic Learning Centerand “Exclusion” at the Presidio Officers’ Club. NJAHS is taking shuttle sign-ups from Japantown to the Presidio.